Welcome to the Amarillo College Online Syllabus. This resource was created to allow you to download a copy of your course syllabus or just view it online. It has been designed as a "mobile First" application. What that means to you is you can view this on your phone without having to zoom in, which comes in handy in a classroom. We keep past course syllabi for several years and those are accessible to you as well. The Online Syllabus is simple to use. Select a Department, then the Course Syllabi button next to that department. You can change Catalog Year at any time. You can then narrow the search by typing in your instructor's name. 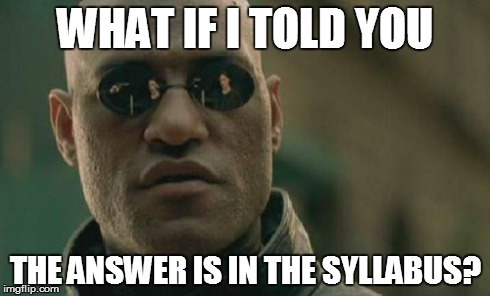 Make sure you select the right course section as syllabi can vary. Just a couple of clicks and you have your syllabus.